On August 29, 2018, at about 11:00 AM the Montgomery County Sheriff’s Office was dispatched to a welfare check in the 18400 block of Sunrise Pines, which is located in the Sunrise Ranch Subdivision in Montgomery, TX. 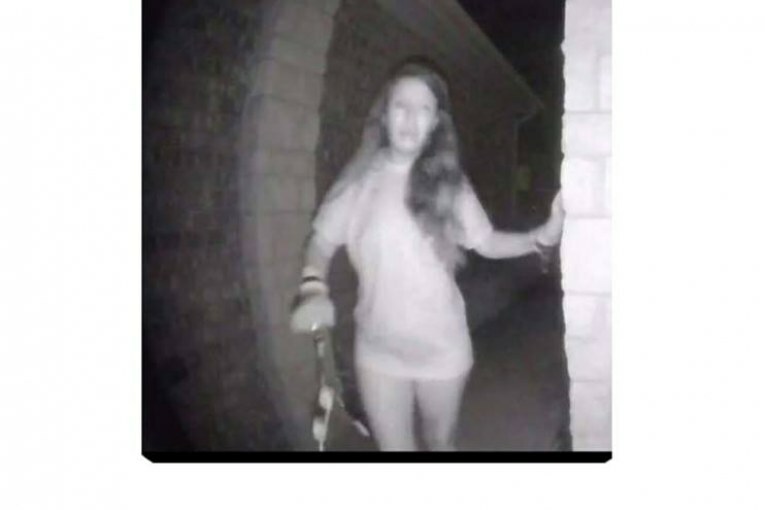 Upon arrival, deputies met with a female who stated that she had received a concerning text message from her ex-husband and was concerned he may have hurt himself and that she believed his girlfriend was the woman seen in the doorbell videos. Deputies attempted to make contact with the male by phone and by knocking at the door but received no response. Due to the content of the messages received by the ex-wife, deputies forced entry into the residence and found the male deceased in bed with an apparent self-inflicted gunshot wound. The Montgomery County Sheriff’s Office Detectives responded to the scene and found evidence that the girlfriend is the woman in the video, including text messages from the deceased explaining what occurred. Detectives were able to locate family members of the girlfriend in the Dallas-Fort Worth area and through those family members, made contact with the female. Texas Rangers in that area met with the female and confirmed her identity, and she provided information that only the female in the video would have known. The female described her actions that night in detail (as confirmed by area videos), and mentioned items of evidence located at the residence known only to the detectives at the scene. The female also described the restraints seen on the previously released video as restraints commonly used in private intimate encounters. Due to allegations of sexual assault, we will not be naming the victim at this time. We are confident, based on the totality of the circumstances, and the evidence available to us, that we have identified the female in the doorbell video and that she is safe.